With just a few lines of code, your PHP web application can make and receive phone calls with Twilio Programmable Voice. We'll use the Composer package manager for dependency management (don't want to? Try our Non Composer PHP Voice Quickstart). Prefer to get started by watching a video? Check out our video on how to place and receive phone calls with PHP. Already have a Twilio account and a voice-enabled Twilio phone number? Log in then jump to the next step. While many versions of PHP 5.x and PHP 7.x will work for this quickstart, please pay attention to supported PHP releases. When doing web development, always update your PHP version to a release which receives security updates. Composer is the de facto canonical package manager for PHP web development. For this tutorial, Composer is required. If you don't want to install Composer, try our non Composer PHP Voice Quickstart. First, navigate to the directory where you will complete this quickstart then choose one of the following methods to install the helper library. To not use Composer, try this PHP Voice Quickstart. Note: It's easier to hardcode your credentials for this quickstart, but you should use environment variables to keep them secret in production. Check out how to set environment variables for more information, and see the code comments for a reading example. This repo is also an excellent reference for environment variables in PHP. If you're using a Twilio trial account, you can only make outgoing calls to phone numbers you have verified with Twilio. 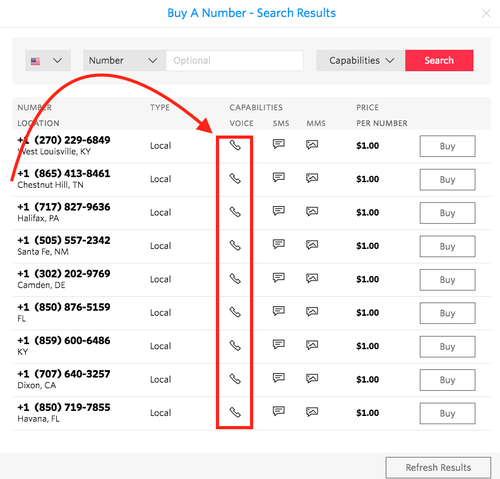 Phone numbers can be verified with your Twilio Console's Verified Caller IDs. For full trial account limitations, see our guide on how to work with your free Twilio trial account. You didn't let me down! What's next?